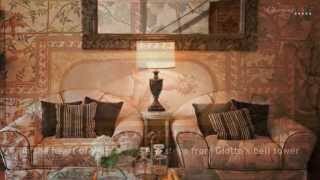 Enjoy a traditional Christmas dessert from Campania! This irresistibly sweet nougat is a popular Christmas sweet made in Avellino and many other spots in southern Italy’s Campania region. The Christmas table in Campania wouldn’t be complete without a tempting display of sweets. After dinner and before the tombola and other Christmas games begin, there’s always time for dessert. Of course you'll find panettone and pan d’oro, which are now popular throughout Italy, but the local and traditional desserts from Campania take pride of place. Many families will enjoy a plate of festive and tasty struffoli (find our recipe for struffoli here) or the classic Neapolitan Christmas cookies Roccocò, Esse di miele and mostaccioli. Just when you think you can’t find room for one more dessert, the torrone arrives on the table! 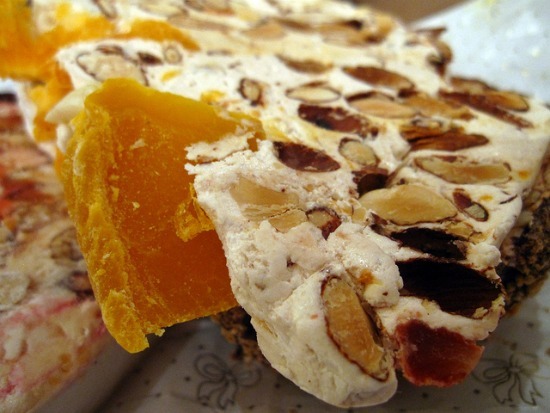 Torrone is a traditional nougat enjoyed during the holidays in Campania. While it is historically connected to Avellino, it is produced throughout Campania. Making torrone is a time consuming process that that includes beating egg whites with a sugar syrup or honey for up to three hours. The amount of time it is cooked determines the consistency, which varies from soft to very crunchy. 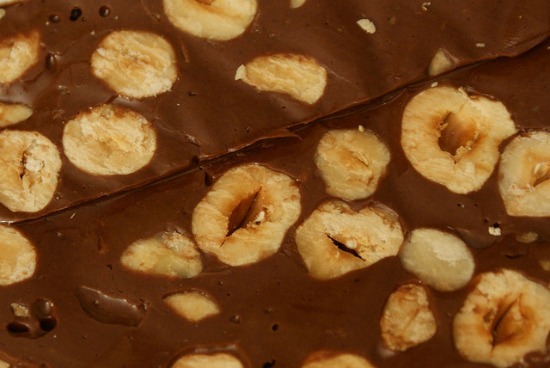 Before the nougat hardens toasted hazelnuts are added to create the classic torrone. 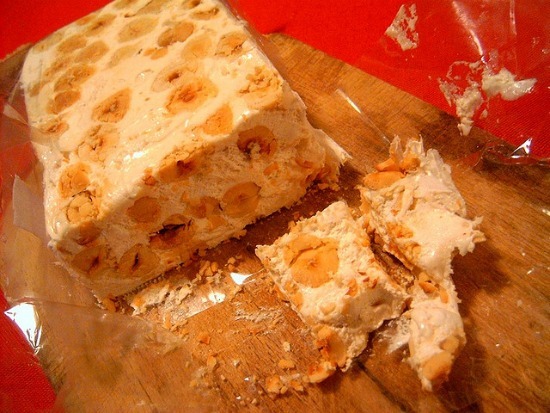 However, there are many other flavors of torrone that appear during the holidays, from coffee to limoncello on the Amalfi Coast, and many varities made with different types of toasted nuts or dried fruits. For chocolate lovers, there’s the classic torrone covered with chocolate or even the rich and delicious torrone al cioccolato. Avellino has been noted for its fine hazenuts since ancient Roman times, and the province still produces more hazelnuts than any other province in Italy. 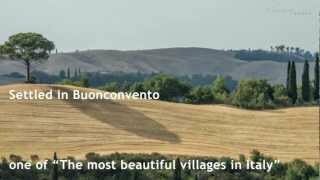 After the hazelnut harvest in the autumn, production of torrone kicks into high gear in Avellino and many surrounding towns and villages. If you’ll be enjoying Christmas in Campania this year, visit a torronificio, a torrone shop, to find a wonderful selection of artisan sweets on display. Try the different kinds to find your favorite, and bring back some traditional desserts from Campania for a unique Christmas gift from Italy. But, most of all, enjoy the flavors of Campania this holiday season! If you’ve missed them, take a look at "Top 5 Italian Christmas Dishes", “Have a Very Venetian Christams”, ” The magic of Milan for Christmas” and do not miss our next suggestions on what to do and what to eat for Christmas in Italy!